The groundwater management goal of Reclamation District No. 108 is to maintain a sustainable high-quality groundwater resource for use by the District and its landowners in supplementing water supplies and in serving the best interests of the District. In 2008 Reclamation District No. 108 developed a Groundwater Management Plan along with a Groundwater Update. In 2009 the District developed a Strategic Plan for Groundwater Resources Characterization. 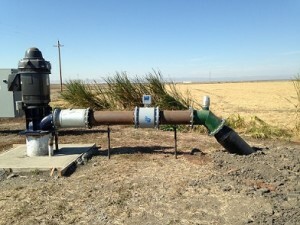 The purpose of the Strategic Plan is to identify the approach the District should take to gain a better understanding of groundwater resources within the District and the constraints or limitation to utilizing the resource consistent with the Basin Management Objectives set forth in the Groundwater Management Plan.